Commentary: I'm getting a lot of mileage out of "Just different enough to make you mad." 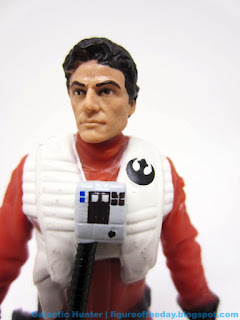 Poe Dameron returns (again) in his pilot outfit. 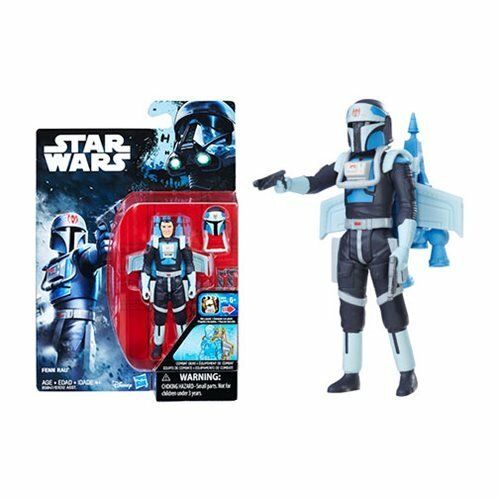 This figure was sold at Toys R Us in 2017 as a pack-in for the "Boosted X-Wing" vehicle. The figure is the same tooling as the 2015 pack-in figure, with deco like the 2017 carded figure, and a unique sound chip with unique voice quotes. 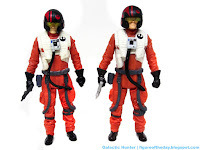 If you're a completist you probably have at least five Poes in pilot outfits, and they're all basically the same. Thanks, Hasbro. The figure has five points of articulation with a stamped Force Link symbol on the foot - like the TIE Pilot, the figure tooling is the same. 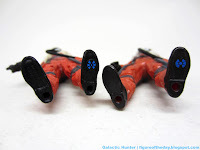 (Other figures got retooled legs, or are perhaps completely new tools based on the same digital sculpt seemingly created by/provided by Disney and Lucasfilm.) 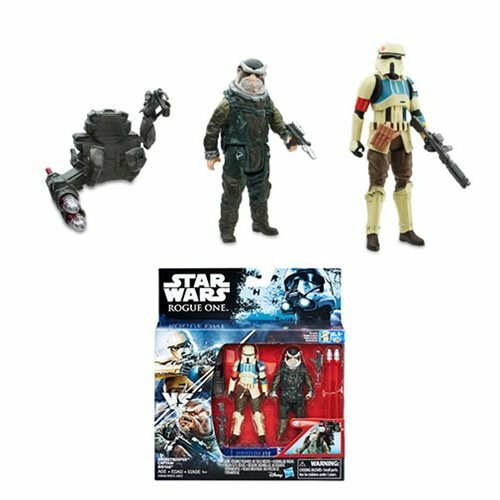 He has no problems standing or sitting, and the removable helmet is light on deco when compared to The Black Series counterparts. 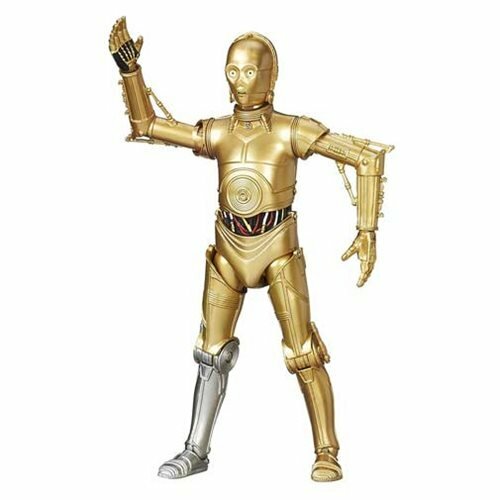 This figure is so similar to the single-carded release that, while testing it for Force Link quotes, I didn't realize I grabbed the wrong figure and was surprised that one figure was making the sounds of two figures. Obviously, it wasn't - I just couldn't easily tell them apart. That's how essential the figure is. 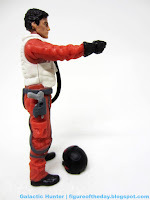 It's a fine pilot slug you cram in the vehicle and forget, but if you do the ship may knock the blaster out of the holster and you're in for a hassle getting the tiny thing out again. The overall product isn't great, and a figure with a better holster, or a ship with a better interior, could've done wonders. But that's not what this is. The only real visual difference between this and the carded The Last Jedi Poe is the blaster - pack-in Poe has light grey, single Poe has black/dark grey. So you're looking at that, wrist joints, and a new sound chip. If you're a completist like me you're going to get them anyway, but prepare to be disappointed. 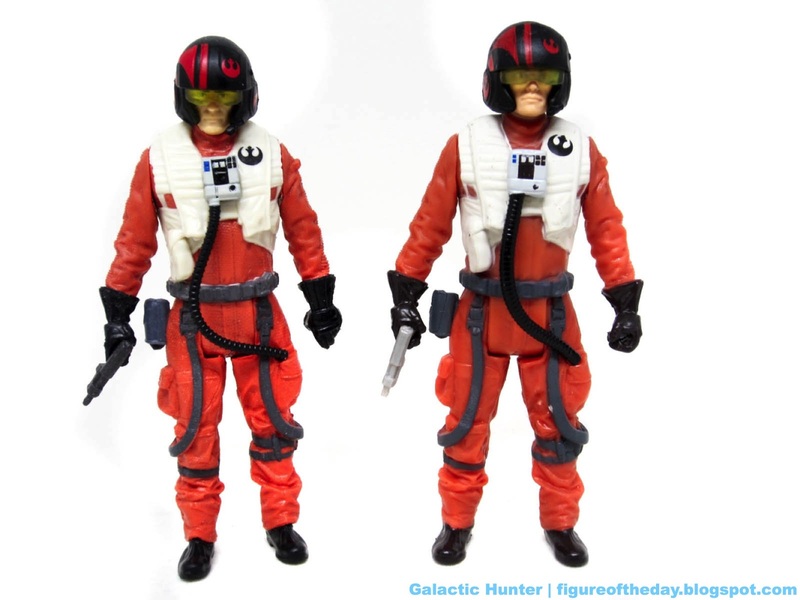 A little scruff, a different helmet deco, literally anything that could make this figure distinctive would have been nice. Force Link Notes: "You need a pilot." "Stay sharp." "Give it everything you got!" Also a smattering of blaster sounds.